Chocolate Boy, Chennai ARE YOU A VENDOR? 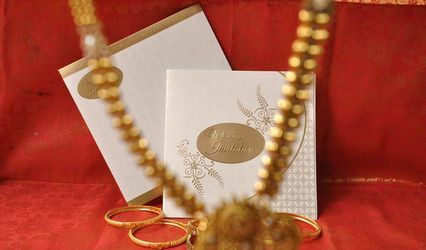 Chocolate Boy, Chennai is a company based out of Ayanavaram in the city and is known for sending out unique wedding invitations. They are a renowned name for preparing customised and personalised chocolates with specially made wrappers and boxes to decorate them in. 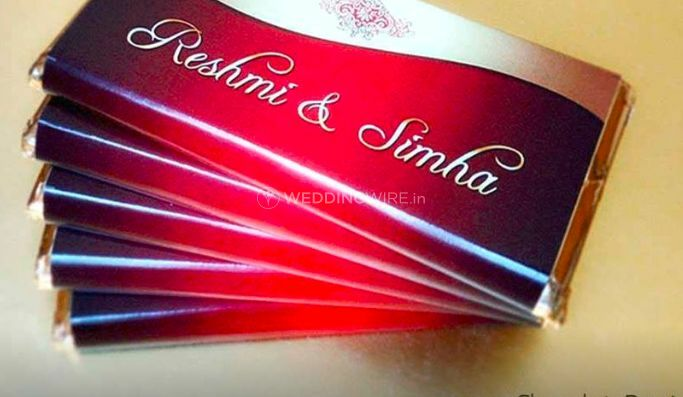 Let your friends and family have a bite as they welcome the big news of your wedding with this innovative way of sending out wedding invitations. 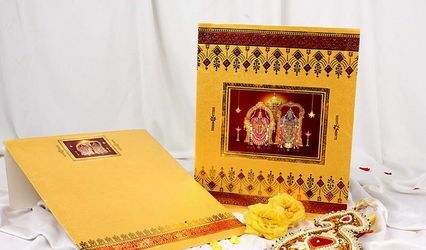 They make your invitation a memorable and sweet surprise for all your guests. Chocolate Boy, Chennai as the name suggests is known for going out of the conventional way and sending out invitations in the form of chocolate bars made of dark chocolate, milk chocolate, white chocolate and regular chocolate. 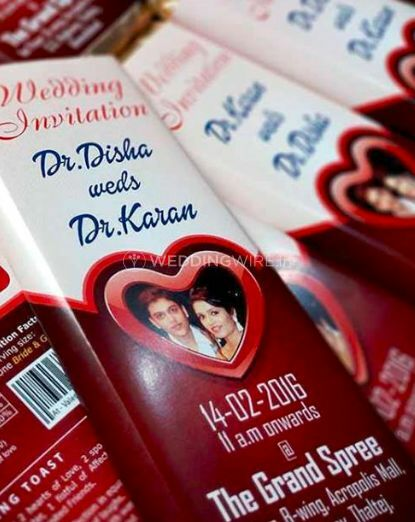 They print the message of invites on the wrappers or boxes of their in-house produced chocolates, like in conventional wedding cards and you can decorate them with your photograph or any other customisation to be sent out. Chocolate Boy, Chennai is professionally trained to make delicious and enticing chocolates and carve your message on the chocolate bar too other than just printing it on the wrapper, whatever eye-catching messages that can fit into the bars. They are made of completely natural ingredients that are healthy. You can ask them to avoid specific ingredients if you do not want them. 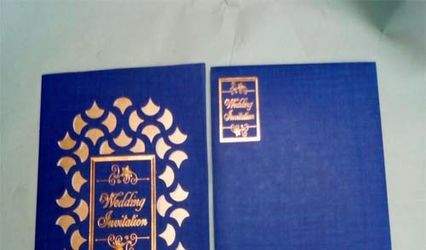 Boxed and wrapped with love and professional accuracy, these sweet bars are not only given out for wedding invitations, but they also extend their business services to other events like naming ceremony, for birthday and according to the theme, baby shower, anniversary and corporate events as well. Nobody denies a chocolate bar especially when it is overloaded with your personal touch, and their affordable prices are a cherry on the top for you.